Prestige Cars now covers Reading area too! 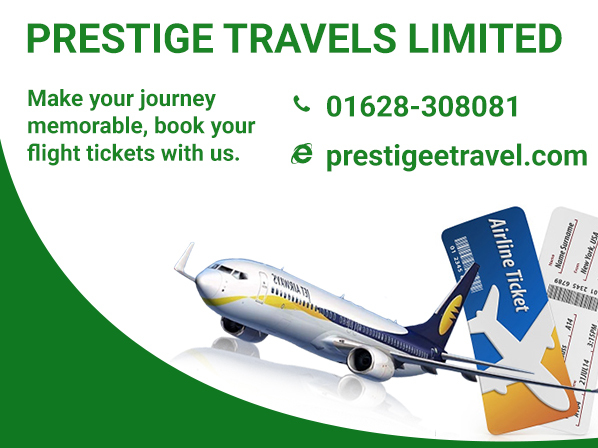 With more than 30 years of proven experience in transport, car hire and cab booking industry, Prestige Cars are now open in the Reading area too. After successful three decades of business in Wokingham Area, we are now open in Reading Area. We offer our services mainly in Wokingham and Reading area.We also offer services in surrounded areas such as Ascot, Gatwick, Heathrow, London, Sunningdale, Slough..
We are among top rated taxi and car booking services provider in town. Have used Prestige for more than 10 years now - on airport and local runs. Always an excellent service bar once when driver was 10 minutes late. Cannot understand the vehemence of "fullbrook"'s review - a competitor perhaps? Will continue to use them! I use this company last 2 years and they always been very reliable and never let me down driver's nice clean cars and helpful i will highly recomend them. I hired a taxi from prestige cars and I must say their customer service was excellent. My call was answered promptly, the driver was courteous and friendly and I was driven to my destination on time. I will definitely use prestige cars again and recommend them highly to everyone. I had booked airport transfers with Prestige cars. I had a great experience drivers are professionals & cars are very good and clean. I've used Prestige a few times for airport transfers. Been perfectly happy with the price, cars and service each time. Good service from call pick up till I was dropped! Highly recommend! Many thanks for the excellent transfer from LHR Terminal 4 Your driver has restored our faith in your service and we will be booking your company again for return transport to LHR Terminal5 June this year. Please thank both drivers for their courtesy and consideration. These guys are superb. Excellent service and their pricing is no less competitive that lesser companies. Use them! Very efficient service. Great communication with both booking office and then designated driver. Very prompt on the day.the driver was very smart and courteous. We will definitely use them again if the need arises. Great company! Were quick and on time! The person I spoke to at the office to book the taxi was lovely and both of the drives were so friendly and welcoming and made me feel really comfortable!! Will 100% be using these guys for every taxi trip I need whilst in Wokingham The prices are also a bargain!! Can’t fault them at all! We are cheaper and affordable Car Hire, Pick & Drop, Airport taxi and transfer services provider in Reading Area. Using our website or mobile app, you can reserve your car hire, pick and drop or airport transfer any time and anywhere in the world. Our dedicated and experienced customer support staff and drivers assure that your ride for car hire, airport transfer or pick and drop services is quick, safe and easy. We care for our customer needs and satisfaction. Hence we always keep our fleet well maintained and up to date. Our latest and well cleaned vehicles make it easier for you to make your journey memorable.